This program is perfect for composing original songs, guitar tabs, drum notation, music, scores and soundtracks, or you can try it with TwelveKeys music transcription software to transcribe music recordings and notate arrangements of your favorite music. A simple and intuitive way to write musical notation or guitar tabs, Crescendo allows composers to write, save and print their music compositions on their computer. 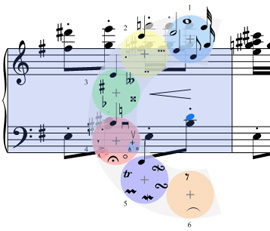 The wide array of sheet music symbols, time and key signatures, along with a free-form layout, gives a composer optimum control over creating sheet music for their arrangements. Get it Free. 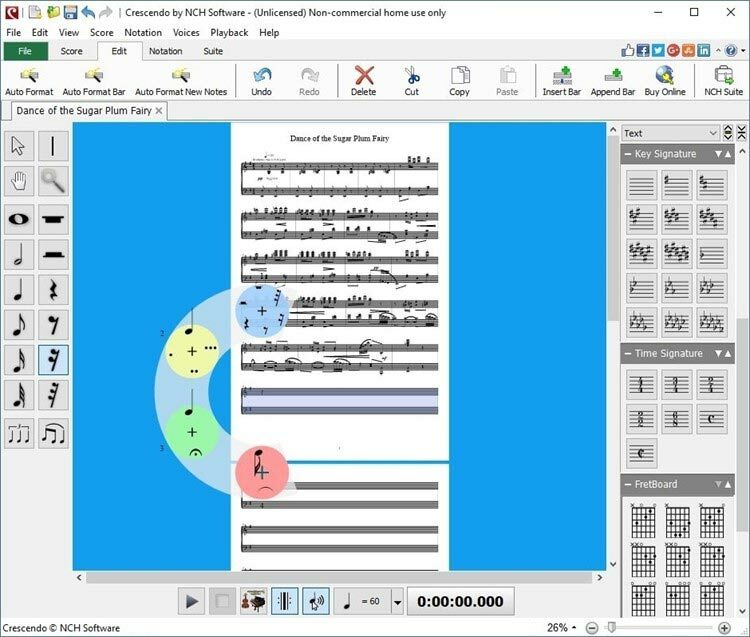 A free version of Crescendo Music Notation Software is available for non-commercial use. If you will be using Crescendo at home you can download the free version here.